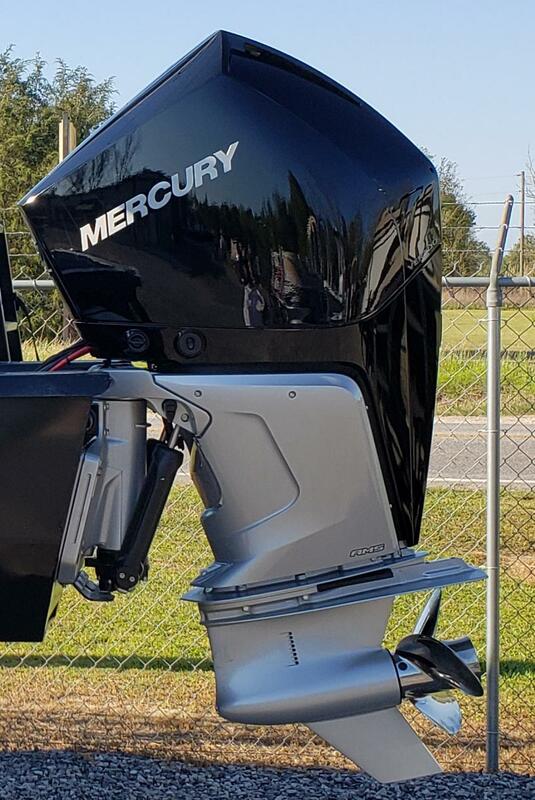 2019 Regency 230 LE3 with Mercury 250 V8 Verado. 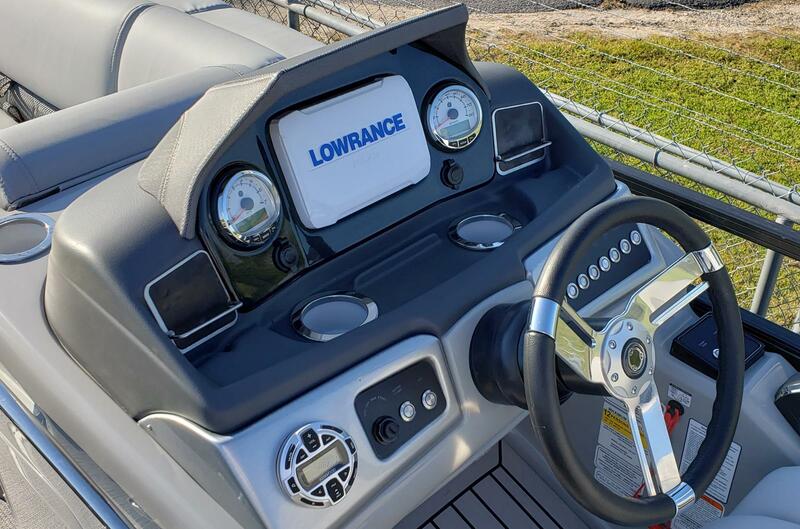 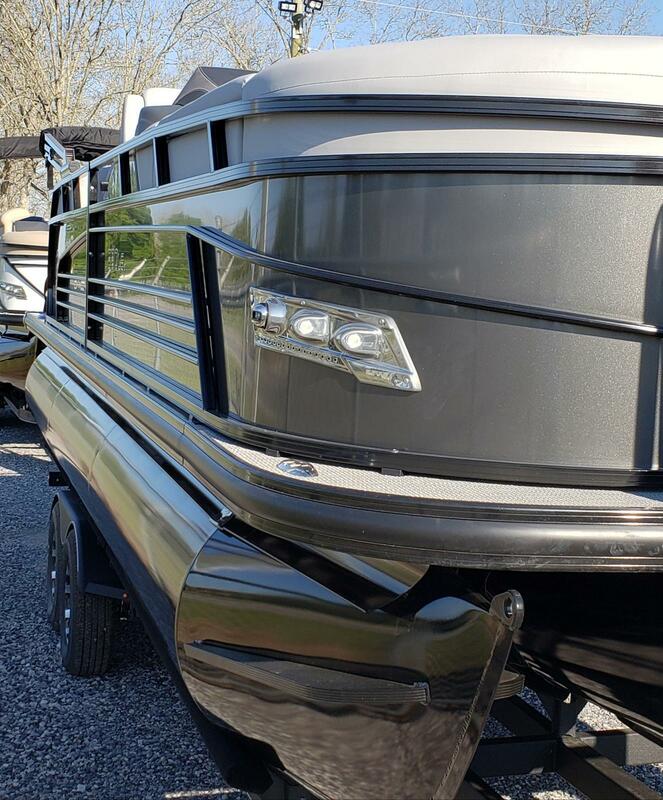 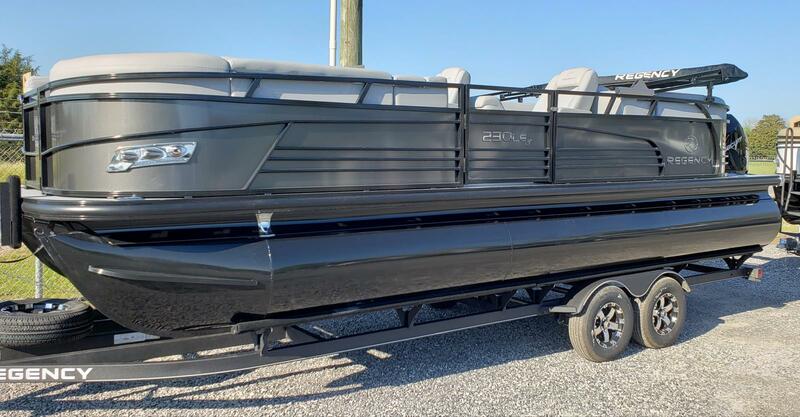 This beautiful boat includes a complete powder coat finish, power bimini top, underwater lighting, Lowrance HDS Carbon 7 depthfinder/GPS with rear view camera,blue LED interior lighting, ski pylon, lighted in-floor storage, full factory cover and much more. 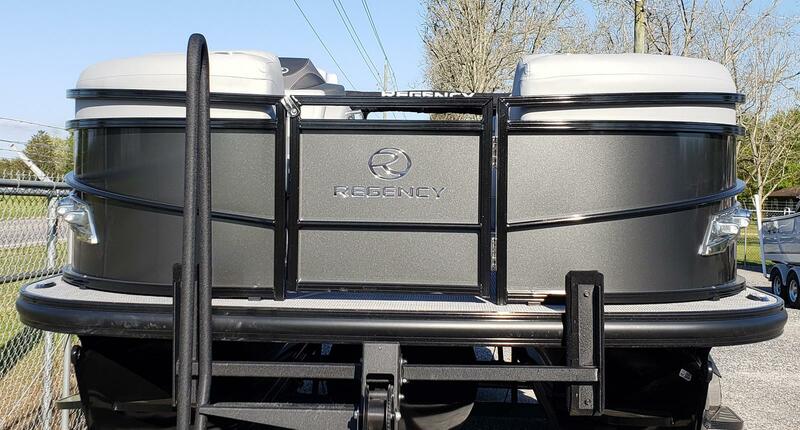 Tandem axle trailer is galvanized and powder coated with alloy wheels and spare. 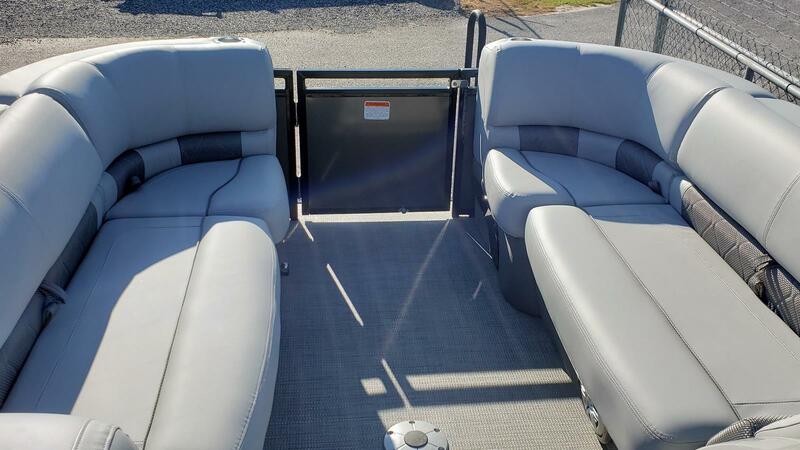 This is a luxurious pontoon equipped for relaxing and entertaining. 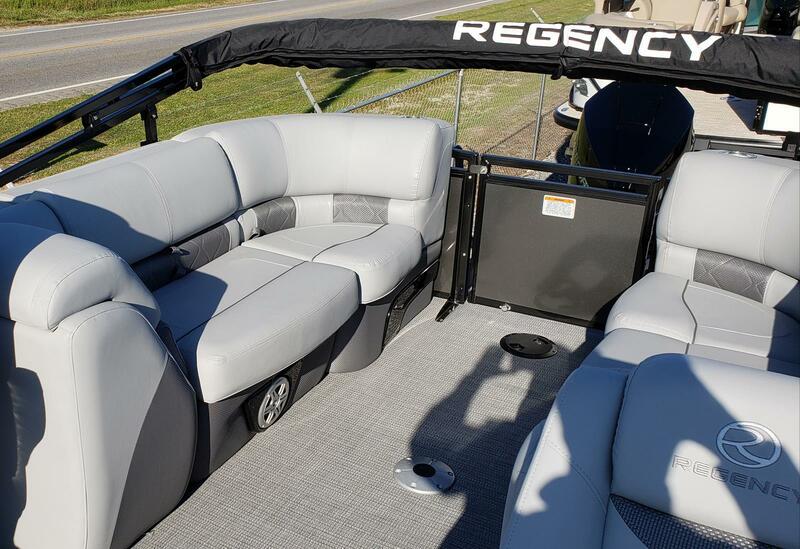 Come see the Regency difference!